At a well-attended ceremony in Accra to commission the park, the Executive Chairman of the Jospong Group of Companies and owner of Zoomlion Ghana Limited Dr. Joseph Siaw Agyepong stated his unapologetic resolve to help President Nana Addo Dankwa Akufo-Addo and government for that matter to achieve his vision of a cleaner Accra and largely Ghana. He said upon his assumption of office, the President visited two of his (Agyepong) facilities namely the Accra Compost and Recycling Plant (ACARP) and the Teshie Waste Transfer Station and encouraged him to defy all challenges and work harder. This, he cited as the motivation which has made the waste entrepreneur spend sleepless nights in order to identify solution driven technologies to aid the president to achieve his vision. In furtherance of his commitment to support the president’s agenda, he said sixteen other such plants have been procured to replicate the technology in all regional capitals. 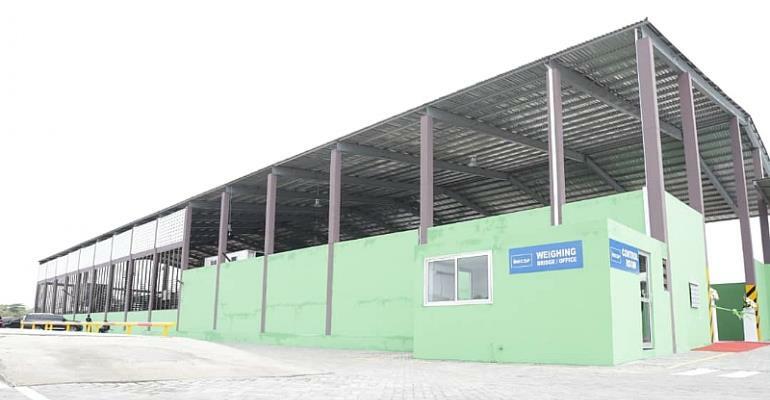 To guarantee that he is walking the talk, Dr. Agyepong gave the assurance that by the end of August this year similar facilities will be duly commissioned in the cities of Takoradi, Kumasi, and Tamale to begin operations. 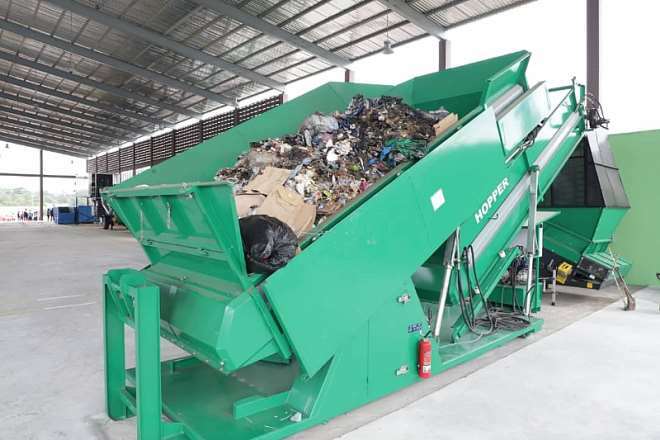 An elated Prof. Kwabena Frimpong Boateng, Minister of Environment, Science, Technology, and Innovation (MESTI) said Zoomlion’s exemplary stance on Ghana's waste management epitomised the power of the public sector to turn economies around. He gave the assurance that his ministry will continue to streamline strategic policies to make it even easier for the private sector to flourish so as to help create the needed jobs for the Ghanaian people. He hinted that the Plastics Management Policy was at cabinet level for consideration and the necessary approval. When it is in full gear the policy will among other things streamline how plastic product producers and consumers, as well as waste managers, will operate.